Culled from the artist's extensive private files, every themed volume of this ongoing series features unpublished sketches, preliminary artwork and pieces the artist created for his personal enjoyment. 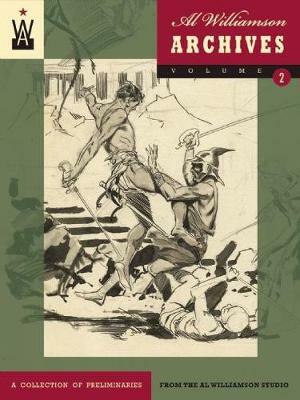 This second volume features rough sketches, unpublished comic pages and partially completed drawings to fully-rendered studies of characters familiar to fans. Each piece exemplifies the exhilarating bravura, sheer vitality and sense of wonder so important to Williamson's work. His body of narrative fiction continues to provide endless inspiration today.